Improve your game! Learn personal strategies! Uncover the secrets of your own server! The famous 20k levelling guide and JMTC gold making community has just launched a ground breaking new initiative to link up World of Warcraft players who want to improve their game with personal WoW Coaches. 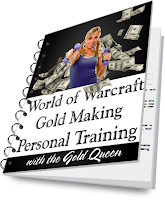 If you’re interested in receiving personal 1-on-1 training and gold counselling sessions with me, The Gold Queen, please head over to the WoW Coaching Programme and look me up on the list! 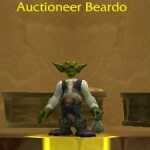 Setting up your addons: Auctioneer, Auctionator, Trade Skill Master, MySales, Ore Crusher. Checking your professions are maxed and ready to roll. 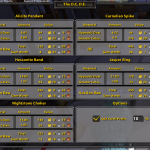 Using Engineering, Jewelcrafting, Cooking, Leatherworking, Inscription, Enchanting, Tailoring, and Alchemy. Setting up AH alt toons and scanning for bargains. 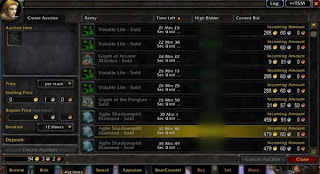 How to use patch notes to make massive amounts of gold. Setting up Gatherer for Herbalists and Miners. Barking and advertising for trade. Finding ideas for items to craft and sell. What are your worries? Are they covered in the list? Do you think you have a strange question or problem that you can’t solve? Let me take that weight off your shoulders! 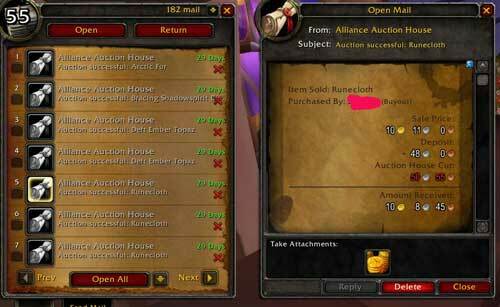 Overpower your Auction House on your own Server! Log on to an inbox full of gold just waiting for you! 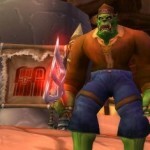 I have 7 level 80+s spanning 3 different servers in the EU. I’ve been playing in a top raid guild since Spring 2006, with over 10,000 achievement points on my main, including Light of Dawn. Making gold since The Burning Crusade, I’m still searching for a way to measure it properly. I give my friends mechano choppers for their birthdays, and BoE Epics to all of my alts. 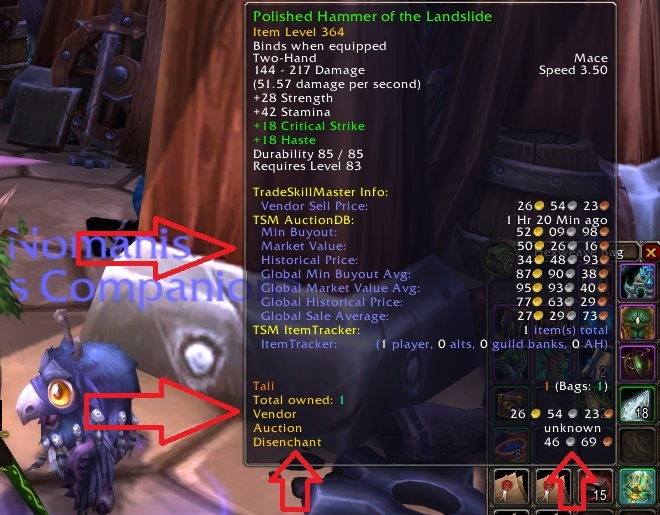 Â I even have a level 40 with a 20,000g mount! 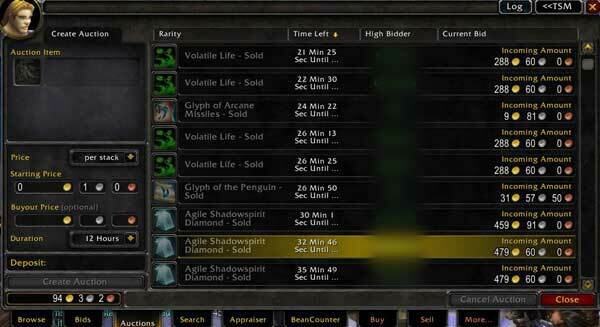 Â I made 240k+ pure profit in one week last year. I love that I can buy anything I want, whenever I want. 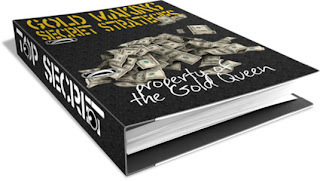 I will give you aÂ free pre-coaching session ebook, and then walk with you you hand in hand until you feel confident that you can improve your gold making efficiency and knowledge. I will talk to you over my personal MSN, your ventrillo, teamspeak or through emails. Based in the EU, I can even join your own EU Server with a new toon for you and check out your competition before we even start! Sound too good to be true? Everything in the programme is designed for YOU. Personalised for YOU. Trained in real time, on your terms, at your pace. 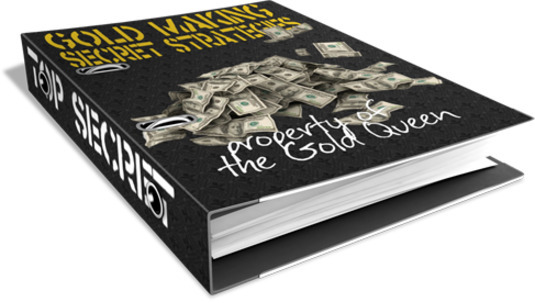 I will teach you your OWN special tricks and secrets for making gold on your server that will have your competition in tears! YES PLEASE! 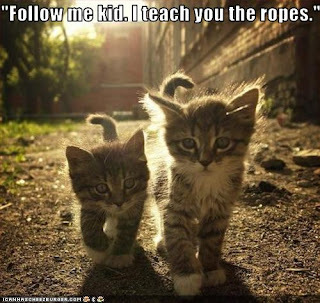 Â I want you to be my personal Trainer! Please go to the WoW Coaching Programme and search for me by name “The Gold Queen” and request me as your coach! http://www.thegoldqueen.com/wp-content/uploads/2016/01/smlogo-300x100.png 0 0 The Gold Queen http://www.thegoldqueen.com/wp-content/uploads/2016/01/smlogo-300x100.png The Gold Queen2011-02-10 10:55:002015-02-23 17:54:42Who Else Wants Gold Training? The Big WoW Gold Business Ethics Question 3 Tips For 4.06 You Can’t Afford to Miss!